Peter Allen (b. Tenterfield, New South Wales, Australia, 10 February 1944; d. San Diego, CA, 18 June 1992) was an Australian songwriter, singer, pianist, and entertainer. Although a stunningly flamboyant performer himself, most of his renown in the United States was the result of performances and recordings of his songs by others: among the two dozen well-known singers who covered his material were Frank Sinatra, Bobby Sherman, Anne Murray, Peggy Lee, Dusty Springfield, Carly Simon, Dionne Warwick, Patti LaBelle, Maureen McGovern, Judy Collins, Glenn Yarbrough, Karen Akers, Bernadette Peters, Melissa Manchester, and Olivia Newton-John. Along with Burt Bacharach, Carole Bayer Sager, and Christopher Cross, Allen won an Oscar for Best Original Song, “Arthur’s Theme: Best That You Can Do,” from the 1981 film Arthur. His many albums enjoyed enormous popularity in Australia, and his cabaret and concert career encompassed three sold-out appearances at Radio City Music Hall. 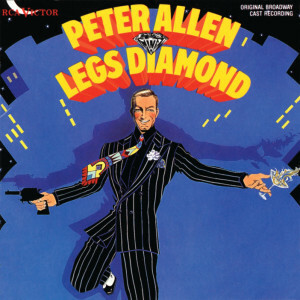 Allen conceived, developed, wrote the music and lyrics for, and starred in his own Broadway show, Legs Diamond (based on the 1960 Warner Brothers film The Rise and Fall of Legs Diamond), in 1988. It ran for only 64 regular performances, but an Original Cast Album was recorded by RCA. Taught and encouraged by his mother and aunts, Peter was already an entertainer as a child, accompanying himself at the piano at the local pub. At the age of fifteen, he found his way to Sydney, where he substituted at the last minute for a missing member of a duo on Bandstand on Australian television. The other member of the duo was guitarist and singer Chris Bell, and the two stuck together as the Allen Brothers. Their recording of “My Secret” was a big hit in Australia in the early ’60s, and they set out on a tour of the Far East – a tour that would take them westward almost all the way around the world. Allen’s first solo gig was opening for Bette Midler at the Bitter End nightclub in Greenwich Village in June 1970. During this time he was also writing songs for productions at the Off-Off-Broadway La Mama Theatre Company and studying acting with Uta Hagen. He made a less than impressive Broadway debut on January 12, 1971, in Soon, a rock opera that played only three performances. He turned to writing more commercial material – which in the seventies meant more in the introspective singer-songwriter style. 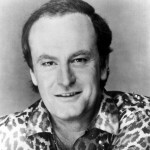 Allen became a staff writer at Metromedia Music, which commissioned him to record his own albums, releasing Peter Allen in 1971 and Tenterfield Saddler in 1972. Metromedia arranged for his collaboration with songwriter Carole Bayer Sager, which turned out to be very productive and successful; their “Jennifer” was sung by Bobby Sherman in the TV movie Getting Together and became a Top 40 hit in the fall of 1971. “We had a great friendship,” said Bayer Sager. “Peter was funny; he was vastly talented. We hung out a lot. We had a similar pace in terms of writing.” “Don’t Cry Out Loud” (recorded by Melissa Manchester), “Everything Old Is New Again,” and “I’d Rather Leave While I’m in Love” were among the most popular of their partnership. Peter Allen returned to performing in 1973 at Reno Sweeney’s, and other singers on the New York scene began to cover songs from his albums. In 1974, he and Jeff Barry wrote “I Honestly Love You,” a sad ballad recorded by Olivia Newton-John that became a Number One hit in the United States and Canada. The single won two Grammy Awards®, one for Record of the Year, and one for Best Female Pop Vocal Performance. Allen then signed with A&M Records, releasing his third LP, Continental American, and following it in 1976 with Taught by Experts, which proved to be his breakthrough album. It featured “The More I See You,” “Quiet Please, There’s a Lady on the Stage” (a tribute to Judy Garland written with Carole Bayer Sager), and his biggest hit ever, “I Go to Rio.” “Rio” was generally ignored until it was re-released with a sensational promotional video, showing Peter Allen cavorting about the studio, at the piano, sometimes somersaulting over it, wielding a pair of maracas. The song shot to the top of the Australian charts, reaching Number One in July 1977. It stayed on the charts for nineteen weeks and lingered for many more years on disco dance floors. In 1977 A&M issued It Is Time for Peter Allen, a double LP featuring live concert performances drawn from his successful US tour. Allen’s first and only film role was a cameo appearance in the disastrous 1978 musical, Sergeant Pepper’s Lonely Hearts Club Band. Fortunately, his part in it was very brief, and he escaped the ridicule piled upon its stars, The Bee Gees, Peter Frampton, Aerosmith, Earth Wind & Fire, Alice Cooper, and Billy Preston. Its producer, Robert Stigwood, had previously scored big with Saturday Night Fever and Grease, but this movie was universally panned by the critics and died an ugly death at the box-office. It was too apparent that the new versions of classic Beatles songs making up the soundtrack were not authentic Beatles material. The Bee Gees later admitted publicly that it was the worst thing they had ever been involved in. The failure had little effect on Peter Allen’s career. His next album, I Could Have Been a Sailor (1979), became his first LP to reach the charts. He then realized a long-held dream and headlined in his own Broadway stage show, Up in One: More Than a Concert, which although it ran for only 46 performances, toured successfully to Los Angeles and Australia. In 1980 he appeared before Queen Elizabeth and Prince Philip in a Royal Command Performance at the Sydney Opera House. A fifth album, Bi-Coastal, came out in late 1980 and was his most successful album ever. In between headlining spots in the Greek Theatre in Los Angeles and New York’s Copacabana Club, Peter appeared at Radio City Music Hall, dancing with the Rockettes (the very first man to do so) and riding a camel across the stage during “I Go to Rio.” A lucky chance brought him an Academy Award® in 1982 – not that he had actually worked on the winning song, “Arthur’s Theme: Best That You Can Do,” – when Carole Bayer Sager, composing the song with then-husband Burt Bacharach, suggested a line from a song she and Allen had written a decade before. “Caught between the moon and New York City” had been Allen’s line, and Bayer Sager thought he deserved full credit. Performed by Christopher Cross, the song was a huge international hit single, and won the Best Original Song Oscar® for all four contributors. When Allen’s contract with A&M expired, he switched to Arista Records, for whom he recorded his next album, Not the Boy Next Door (1983). He continued to tour, returning to New York in September 1984 for a series of sold-out performances at Carnegie Hall that were recorded and released as Captured Live at Carnegie Hall (1985). As part of the Carnegie Hall show, he included several numbers from Legs Diamond, the Broadway musical he was writing with Harvey Fierstein, but it was four years before the show itself was produced. Opening in December 1988, it played an exceptional 72 previews, but only 64 performances. RCA issued the Original Cast Album as well as Peter Allen’s final LP release, Making Every Moment Count (1990), with Melissa Manchester and Harry Connick, Jr.
Allen’s last tour, during the summer of 1989, was with Bernadette Peters. He died of throat cancer, a complication from AIDS, in 1992, shortly after a last performance in Sydney. His ashes were scattered at sea. Peter Allen had had a long-time partner, Gregory Connell, a fashion model from Texas who sang backup and designed sound and lighting for Allen’s shows. Their home together on the coast north of San Diego was a favorite retreat between tours. Connell died there in 1984 of an AIDS-related illness. After Allen’s death, a documentary film, The Boy from Oz, featured clips from his performances and interviews with those who worked with him. A stage musical of the same title was produced in Australia in 1998 and on Broadway in 2003, starring Hugh Jackman, a performer of comparable flamboyance and verve. Jackman won a Tony®, a Theatre World Award, and a Drama Desk Award for his performance, and led the show on tour in Australia two years later. In the small town of Tenterfield, Australia, a shop called The Tenterfield Saddler shop has a collection of Allen memorabilia. An extension of the local library is named The George Woolnough Wing.